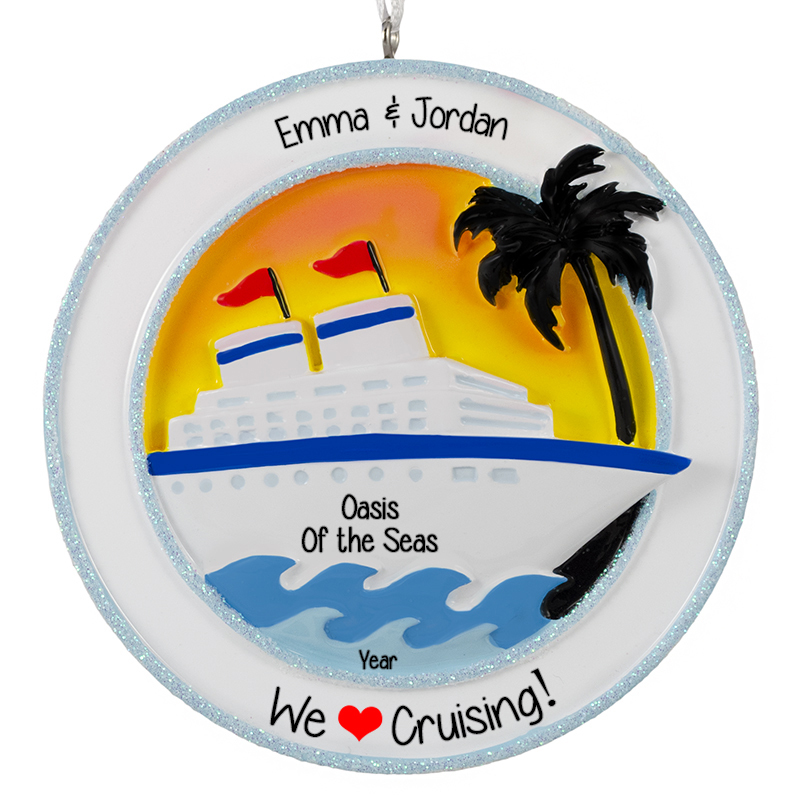 Celebrate an amazing sail with our We Love Cruising Sunset Blue Glittered Ornament. Featuring a cruise ship set against a sunset and glittered blue border, this is the perfect souvenir to commemorate your special trip. We will personalize this ornament for you at no extra charge, so buy your affordable keepsake today!